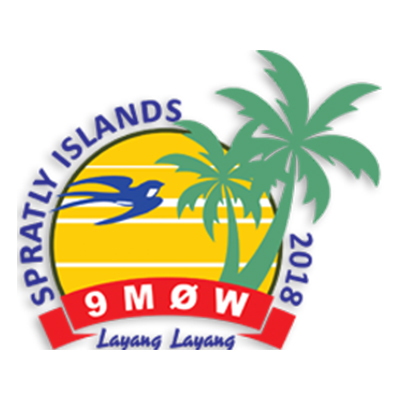 International Amateur Radio Team will be active from Layang Layang Island (Swallow Reef), Spratly Islands, IOTA AS – 051 in March 2018 as 9M0W, 8 – 10 days. Right data according flight time table, March 10-20th 2018. YT1AD, HL5FUA, K9JM, YT3W, ZL3WW, K6MKF, KO8SC, N6TQS, VK3FY, W5XU, VK3GK, PY2XB, WD5COV, 9M6ABZ, 9M6RHM and 9M6ZAE. We will operate on 160 – 6m CW, SSB, Digital modes. The reason for the delay activity is because the resort Layang Layang closed in the period December-February 2018. DXCC Country – Spratly Islands 1S, 9M0, DU, XV9, BV9S. WAZ Zone – CQ 26. The Spratly Islands are a collection of more than 100 small islands and reefs in the South China Sea, claimed in full or in part by several governments in the region. This tropical archipelago is surrounded by rich fishing grounds and potentially by gas and oil deposits, and strategically located near several primary shipping lanes in the central South China Sea. There is only 4 square kilometres of land, but there are six countries with territorial claims. It is claimed in its entirety by China, Taiwan, and Vietnam, while portions are claimed by Malaysia and the Philippines. 45 of them are claimed and occupied by one of these parties. Even Brunei has gotten in on it, claiming exclusive economic rights encompassing one of the islands. The vast majority of the Spratlys are either uninhabited, closed military bases, or otherwise off limits to casual visitors. However, a few have small civilian communities and can be visited by determined travellers. 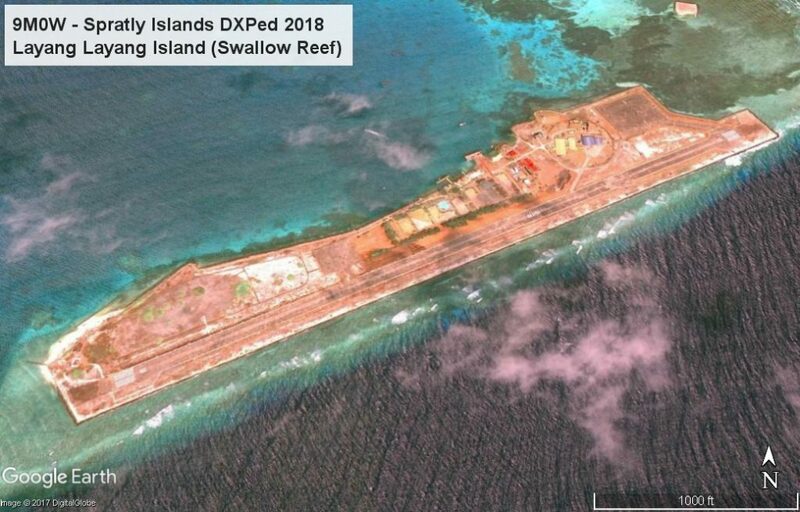 Layang Layang (Swallow Reef), controlled by Malaysia, is the only island in the Spratlys with regular flights. A popular dive resort, it can be accessed via Kota Kinabalu. There are a handful of unpaved airstrips among the other islands.Pagasa (Philippines) and Itu Aba (Taiwan) are accessible on irregular cargo services from their respective mainlands. All of the Spratly Islands are claimed by China (including Taiwan) and Vietnam; parts of them are claimed by Brunei, Malaysia and the Philippines; despite no public territorial claim to Louisa Reef, Brunei implicitly lays claim by including it within the natural prolongation of its continental shelf and basis for a seabed median with Vietnam; claimants in November 2002 signed the “Declaration on the Conduct of Parties in the South China Sea,” which has eased tensions but falls short of a legally binding “code of conduct”; in March 2005, the national oil companies of China, the Philippines, and Vietnam signed a joint accord to conduct marine seismic activities in the Spratly Islands. Swallow Reef, also known as Pulau Layang-Layang in Malaysia, is an oceanic atoll of the Spratly Islands administered by Malaysia, which is situated approximately 300 kilometres (190 mi) northwest of Kota Kinabalu, Sabah. The reef had an original land area of approximately 6.2 hectares (15 acres), but with reclaimed land now covers 35 hectares (86 acres), measuring over 1.5 kilometres (0.93 mi) long and 200 m (656 ft) wide.